Helping to create a liveable environment! Because choosing to cycle rather than travel by car means that CO2 emissions are avoided, the first winners are of course the environment and climate, along with all of those living in the municipalities where there will be less traffic, fewer emissions and far less noise! And if this is not incentive enough, then perhaps the many fantastic prizes kindly provided by our national supporters Ortlieb, ABUS, Bosch, Stevens Bikes, Protective, Paul Lange & Co., Busch+Müller, MYBIKE, WSM and Schwalbe will help convince you! Representatives from the winning municipalities in 2017 together with transport minister Winfried Herrmann at the award ceremony in Stuttgart. The best newcomer municipalities in the three population groups with the most newcomer municipalities will also be honoured. In the special CYCLE STAR category, prizes are raffled off among all of the CYCLE STARS. The waterproof “Back-Roller Urban Line” bicycle bag by Ortlieb manufactured exclusively for the CITY CYCLING campaign attaches securely to all standard bicycle panniers (max. diameter: 16 mm), allowing you to transport all essential items by bike. It is the ideal bag for all municipal politicians and cycling enthusiasts on their (bike) journey to work! The highest ranking municipalities will be awarded bicycle bags worth €70 apiece. All CYCLE STARS to successfully complete the three-week challenge will also be given a bicycle bag as an added incentive! Smartphones are today a popular (bike) navigation tool – and the brand-new CITY CYCLING app means they can now also be used to record the kilometres cycled. Countless other ingenious solutions have been developed to complement this, including the “SP ConnectTM Bike Bundle Universal” from Paul Lange & Co. worth €30. With two attachment options (clamp or stem mount), the universal mount is suitable for all bikes and smartphone models. The self-adhesive interface enables optimal positioning of any smartphone exactly where you need it, keeping it firmly attached yet removal in a matters of seconds in just a single twist. Perfect for our CYCLE STARS! 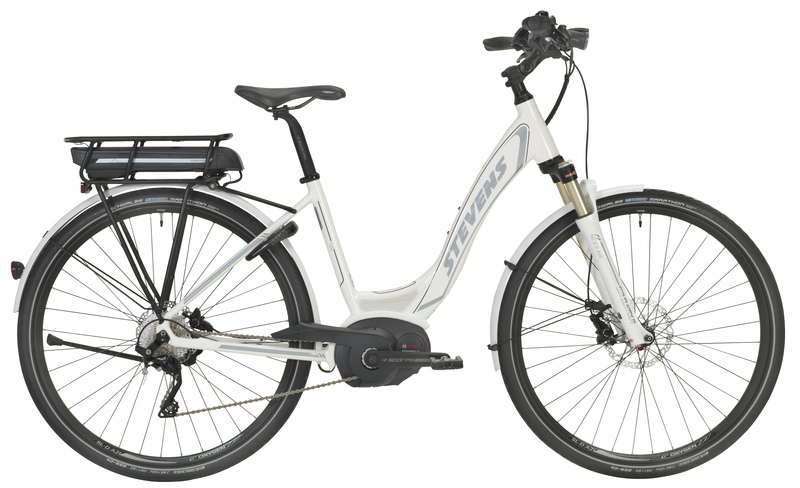 A very special prize will be raffled off among the best newcomers in the “Most active local parliaments” category, namely a top-of-the-range electric bike from Stevens Bikes worth approx. 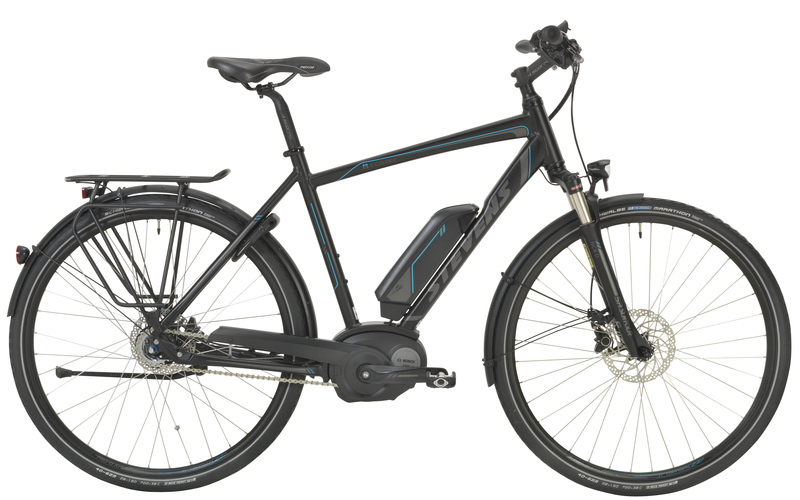 €2,500 featuring an e-bike drive system from Bosch. The guaranteed built-in tailwind means there will be absolutely no more sweating! The pedal electric cycle, or pedelec for short, will go to the winning municipality for use as a company pedelec to enable as many people as possible to experience cycling an e-bike. Leaving you with no more excuses for not using a bike for business travel! 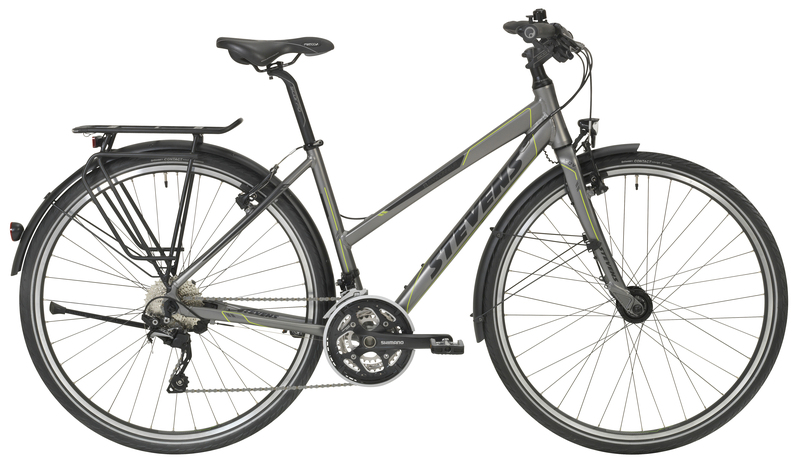 Every CYCLE STAR is a winner, which is why we will raffle off a top-of-the-range bicycle from Stevens Bikes worth €2,500–3,000 (according to availability) at the end of the campaign season among all those participating in the special CYCLE STAR category! The lucky winner is able to choose whether they would like to receive a “normal” bicycle or a pedelec with a Bosch e-bike drive system. This amazing prize will leave everyone wanting to be a STAR of the CITY CYCLING campaign! Which bike would you prefer? A “normal” one? Or a pedelec? The winner really is spoilt for choice! Regardless where you choose to cycle during CITY CYCLING, the “Active Line Plus” drive system from Bosch will enable you to cover the hilliest of routes without even breaking a sweat! Small, agile and elegant, the drive unit provides support up to 25 km/h, allowing you to explore new routes that are a little further afield. The Intuvia control unit offers additional ease of use: the display supplies all cycling data at a glance and is also clearly legible in bright sunlight. The separate, ergonomically positioned control unit means you can keep your hands on the handlebars at all times. Transforming every bicycle into a realistic alternative mode of transport – regardless of the local terrain! All those who sign up to participate in the CITY CYCLING campaign as a CYCLE STAR will be entered in the prize draw for a “Spacer” bicycle rack from WSM worth €167. Two bicycles can be attached securely to this space-saving double bicycle rack by their frame – perfect for your second bike or families with lots of bikes to store. 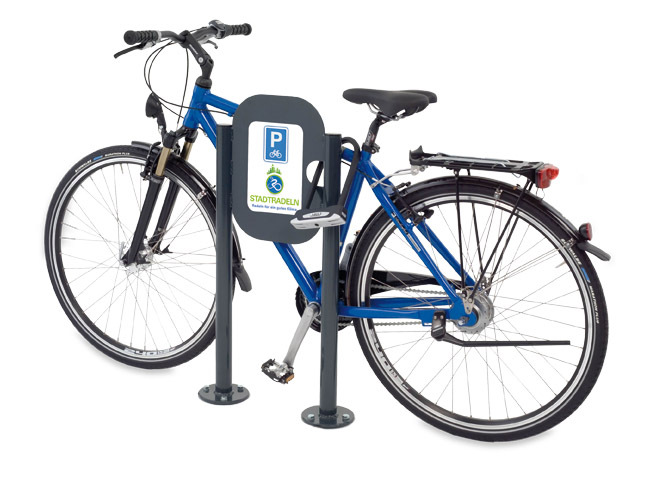 The top municipalities are able to choose from the extensive range of high-quality, timeless bicycle parking systems offered by WSM worth up to €1,000 – where desired, they can also be provided in the CITY CYCLING design! It won’t matter how secure the bicycle parking facilities are if your bike lock isn’t up to scratch! The “Bordo X-Plus 6500” folding lock by ABUS worth €130 is the perfect solution for your peace of mind. With features such as 5.5 mm steel bars, the ABUS X Plus cylinder with a hardened lock case, and special reinforced links, this lock ensures extremely high protection against manipulation. The total length of 85 cm means you are also able to securely attach your bike to fixed objects. The lock has an extra-soft dual-component coating to prevent damage to bicycle paintwork, meaning it is also ideal for securing top-of-the-range bicycles. These days, helmets no longer merely offer head protection but are also a very stylish accessory. Which is why we are giving away sleek “Urban-I” bicycles helmets from ABUS worth €80 each as one of our many fantastic prizes. They offer individual size adjustment for optimal stability and feature 15 air inlets and 6 air outlets for great ventilation, along with an integrated LED rear light for enhanced safety! You can now quite literally wear your heart on your sleeve – with our stylish T-shirt from Protective in the CITY CYCLING design! Look très chic while remaining utterly cool with this high-quality top made from combed, ring-spun 100% organic, GOTS-certified cotton. T-shirts will be awarded to the winning municipalities as well as to all CYCLE STARS so that they can carry the CITY CYCLING message out into their municipality! See and be seen! Excellent visibility is not only crucial during the CITY CYCLING campaign, which is why Busch+Müller has developed the smallest LED front light approved for road usage to date, the “Lumotec IQ2 Eyc”, and the “Toplight Flat” back light. For those who prefer to be able to quickly clip lights onto their bike, we have the bright and robust battery-powered LED front light, the “Ixon Core”, and what must be the lightest, smallest battery-powered LED back light, the “Ixxi”. Each sets of lights is worth €83. Reading expands the mind – as does participating in the CITY CYCLING campaign! For it offers the optimal combination with a number of “educational opportunities”, all courtesy of Delius Klasing publishing house. A varied selection of publications worth €15–30 per copy can be won. To ensure that the CITY CYCLING campaign does not fall flat, we are giving away “Marathon Plus” puncture-resistant tyres from Schwalbe. These extremely durable tyres provide lasting protection against the typical tyre destroyers – even drawing pins will fail to puncture the protective layer! To ensure your tyres also have the right pressure, the set worth €102 also includes an “Airmax Pro” air pressure gauge.